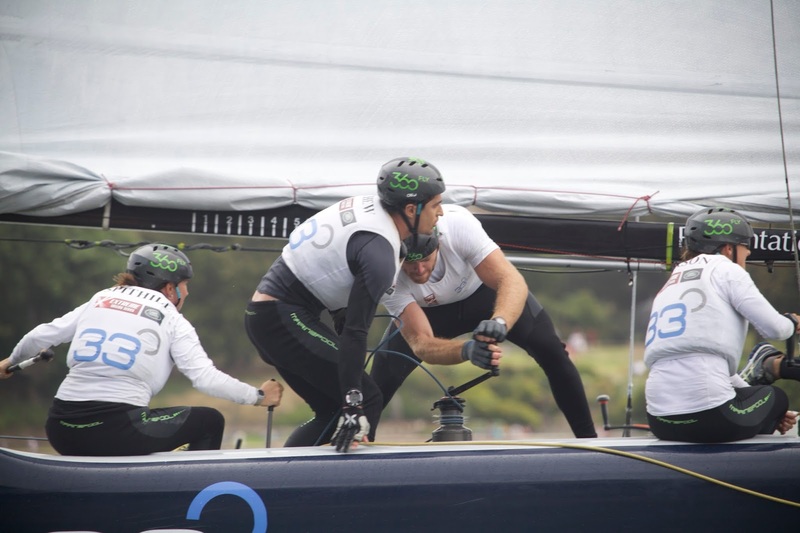 Having worked hard all week, their second place in Sydney – and more importantly the coveted runner’s-up spot on the 2015 Series leaderboard – was at stake.The Danish co-skippers Rasmus Kostner and Jes Gram Hansen could do nothing but watch as Red Bull Sailing Team raced on, taking as many valuable points as possible from the Danes. “It was horrible. Just after the collision we didn’t know how it would go with the points. But to finally get the result we wanted after all our hard work feels fantastic. We are so proud of the journey we have been on over four years with SAP, starting as rookies and now second on the circuit is just fantastic," explained a relieved Gram-Hansen. The Sydney Act and the end of the 2015 season sees the Extreme Sailing Series bid a fond farewell to the Extreme 40 catamarans as Series originators and organisers OC Sport usher in a new era with the GC23 hydro-foiling catamaran as the weapon of choice from the start of 2016. 1. The Wave, Muscat (OMA) 87 points. 2. SAP Extreme Sailing Team (DEN) 74 points. 3. 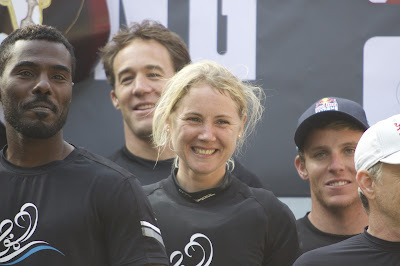 Red Bull Sailing Team (AUT) 70 points. 4. Oman Air (OMA) 58 points. 5. Gazprom Team Russia (RUS) 51 points. 6. Team Turx (TUR) 44 points. 7. GAC Pindar (GBR) 43 points. 8. Lino Sonego Team Italia (ITA) 42 points. 1. The Wave, Muscat (OMA) Leigh McMillan, Sarah Ayton, Pete Greenhalgh, Ed Smyth, Nasser Al Mashari 213 points. 2. SAP Extreme Sailing Team (DEN) Jes Gram-Hansen, Rasmus Køstner, Thierry Douillard, Mads Emil Stephensen, Brad Farrand 198 points. 3. Red Bull Sailing Team (AUT) Roman Hagara, Hans-Peter Steinacher, Lionel Vaucher, Shaun Mason, Stewart Dodson 196 points. 4. 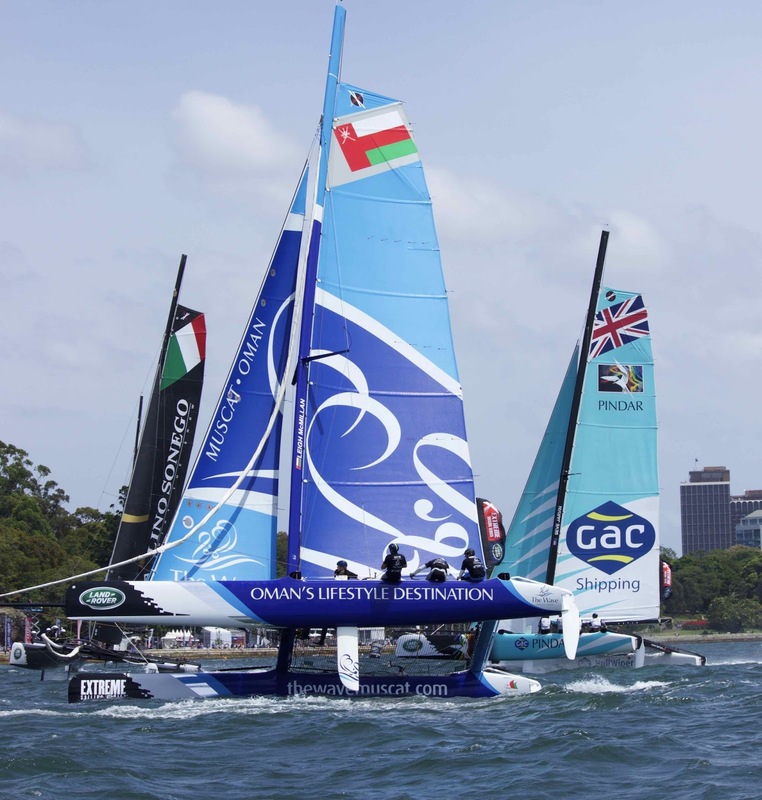 Oman Air (OMA) Stevie Morrison, Nic Asher, Ted Hackney, Ed Powys, Ali Al Balashi 174 points. 5. Team Turx (TUR) Mitch Booth, Edhem Dirvana, Selim Kakis, Diogo Cayolla, Pedro Andrade 160 points. 6t. Gazprom Team Russia (RUS) Igor Lisovenko, Pavel Kalinichev, Pavel Karachi, Alexander Bozhko, Aleksey Kulakov 143 points. 7. Lino Sonego Team Italia (ITA) Enrico Zennaro, Pierre Pennec, Nevio Sabadin, Stefano Rizzi,Tom Buggy 125 points. 8. 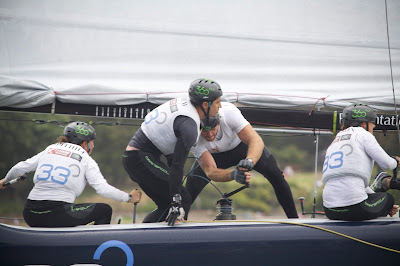 GAC Pindar (GBR) Adam Minoprio, Seve Jarvin, Jeremy Lomas, James Wierzbowski, Tyson Lamond 122 points. 9. 33 South Racing (AUS) Katie Spithill, Matthew Chew, Stacey Jackson, Henry Kernot, Luke Payne 97 points.